Arthritis is a condition known to cause a multitude of inflammations and discomforts in its earlier stages, with full joint damage and severe joint pains appearing in time, as it progresses. With the proper cure administered on time, you will be able to alleviate the damage caused by arthritis, but you need to access them as fast as possible, preferably after you find that you have this condition in the first place. The arthritis treatments include medications which can suppress inflammation, but exercising and mobility can also help in this regard. If arthritis isn’t cured in time, surgery might be needed, but usually this is a last resort. This condition can be caused by bacteria, germs, viruses, fungi, germs and many other similar compounds. And while it can affect just about any portion of your body, you will find that the thumbs, wrists, feet, fingers and arm joints are the ones targeted by this condition. At the same time, the neck, elbow, hip and shoulder area can also be affected. It’s important to know though that arthritis tends to be a symmetrical disease, because once it affects one portion of the left arm, it will also transfer to the same portion of the right arm very fast. However, its behaviour is different from person to person, because while some persons will have only a few joints affected by arthritis, others will have multiple ones. Once the condition will appear your body it will continue to spread, so you do need to focus on dealing with it as fast as possible. Most of the patients with arthritis will feel sick and tired, but these feelings will get worse as the ailment progresses. If it’s not treated properly, arthritis can progress and the condition can last for years or a lifetime. 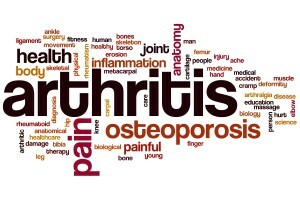 Some of the main symptoms of arthritis come in the form of joint pain and stiffness. The latter can be observed early in the process, whereas irritation will usually cause swelling in the joint area. Some of the other arthritis symptoms include mild painless lumps which will appear in the forearm and the elbow area. These won’t do any harm, however they are an indicator that you might have arthritis and once you see them visiting the doctor will become an imperative thing to do. Tendon irritation can also be another arthritis symptom, alongside fatigue and anaemia. On top of that, if these symptoms combine with losing weight very fast, constant temperature and muscle aches, and then these will immediately show a problem and most of the time they will lead to arthritis. At the same time, some inflammations in the blood receptacles, lungs, eyes and heart will also appear, and they have to be addressed immediately. These include joint inflammation, tenderness, sharp pain and chills. The important thing to note here is that these can immediately link to the other infections in your body, so once you feel any of these symptoms you need to talk with the doctor immediately. While arthritis in kids tends to appear randomly without any specific patterns, there are a few symptoms like anaemia, spotty rash on the leg and arm area, appetite loss and erratic fever that can show arthritis issues. Joint engorgement and rigidity can also lead to this condition as well. If you encounter any of these symptoms then all you need to do is to consult your doctor as fast as possible. Be it an injury from unknown causes, pain followed by fever or redness in the leg area, all of these can be a sign of arthritis and you do need to contact a professional right away. The doctor will be able to determine the best treatment for you, all so that you can alleviate and, in time, cure arthritis.